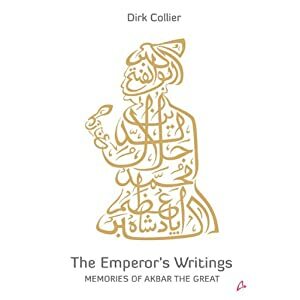 Professor Dirk Collier the Belgian writer has written a fictional autobiography of Emperor Akbar, laced with facts. It is titled “The Emperor’s Writings”. Why it is fictional is that Akbar was illiterate. Written in the form of a letter to his Jahangir, it chronicles the life and times of the Mughal emperor. The author talks about being inspired by Akbar, the emperor’s 5,000 wives and more! Here are some conclusions from the book. Akbar was not a very romantic man like other Great Mughal emperors including Jahangir and Shah Jahan. While he did sleep with countless many women, particularly when he was still young, it seems he had no real “love of his life”. It is however well documented that his cousin Salima Sultana, whom he married after Bairam Khan‘s death, was clearly his favorite, in spite of the fact that she did not bear him any children. She was highly influential, probably much more than Akbar’s mother was, and Akbar greatly valued her opinion. She appears to have been intelligent, exceptionally well-read, and an accomplished poetess. It is reported that no less than 5,000 women lived in Akbar’s palace, of whom, chroniclers hasten to reassure us only about 300 (still a highly impressive number) were his wives or concubines. It should be remembered, though, that these unions were, above all, politically inspired: many a local ruler was more than eager to send one of his daughters to the imperial palace and thus establish a family link between himself and the emperor. It is also well documented, that the ladies in the imperial palace were quite influential and active in society. Many mosques, madrasas and other monuments of the Mughal era have in fact been commissioned by women! It is also reported that the princess of Amber (Akbar’s first Hindu wife and Jahangir’s mother) was a highly astute business woman, who ran an active international trade in spices, silk, etc., and thus amassed a private fortune which dwarfed the treasury of many a European king. From the reviews in the different newspapers and magazines, it appears that it is very well written and full of facts culled from authentic sources. Collier has spent 7 years researching for the book. Next Next post: Castaway Plants?